Surprised not to have found an Old Town thread. Maybe it's buried deeper and I didn't see it. In any case, the long-stalled Saboury development on Washington along the western edge of Old Town is back on. LANSING — A stalled $4.2 million development in Old Town is moving forward. Lansing Mayor Virg Bernero, who leaves office Monday, signed an agreement Saturday that will let a mixed-use development proceed. 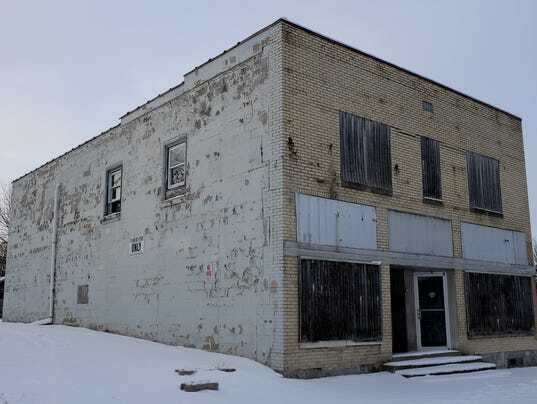 The project will turn the abandoned building at 1115 N. Washington into 5,500 square feet of ground-floor retail space and 23 residential units on the second and third floors, according to a news release. The project will be developed by Sam Saboury, an East Lansing developer who previously renovated Old Town’s Walker Building, according to the release. This is the one that the council rejected a PILOT (payment in lieu of taxes) a few years ago, which ended up with the developer and the mayor suing council in federal court. It was a mess, to say the least. I imagine what ended up happening is that Saboury chose not to do a PILOT since it appears council wasn't involved in this agreement. Here's a rendering from the 2013 announcement of the project. As you can see, they are going to more than double the size of the existing building. BTW, the Walker Building Saboury renovated is just north of here at the southwest corner of Grand River and Washington. He did a good job on that renovation, so I expect the same out of this one. It's really, really good to see this project back on. The lack of new construction in Old Town has been a little surprising given its resurgence, I think a project like this is long overdue. I'm hoping there will be more and better projects to follow, there are very few buildings left to renovate in Old Town. I would like to see this translate more into the surrounding neighborhoods as well. The whole area from Oakland north and up Willow could be designated Historic North Lansing. As of 2018, I am sure that many of the homes in that area are over a century old, put little nice plaques on the houses stating the date they were built. Pave the streets put down brick sidewalks and add gas street lamps to give the Old Town feeling to the whole district. I think many people would like to live there if the housing stock were to be improved along with a few more services. There are so many great old homes over there, many that are a state of disrepair now could really see their value grow if they were now located in the "Historic North Lansing" gaslight district. They are going to locate the new "Punk Taco" restaurant in Old Town, not near Frandor. They are not saying where it will be. Maybe in it will be the space, that the Thai restaurant is moving out of at Center Street and Cesar E Chavez Avenue/ North Grand River. There is only one other vacant storefront next to the ice cream stand. Maybe over there? There is also the storefront next to "Old Town Marquee", or perhaps the other side of Creole that they aren't using? I just noticed last night when I went up to the McDonald's on Larch that Thailand had moved to where Kamp Bo was. I was kind of shocked as I hadn't heard about the move, or know where Kamp Bo is going. The old Kamp Bo restaurant is even smaller than Thailand's space down on Center Street, I think. Now, this makes me wonder what's to go in at the space in Frandor? That's a really crappy entrance to keep empty. Oh, and street reconfiguration is great for those who drive to Old Town, now. Bike lanes on both sides of the street create a buffer between the street parking and the traffic auto traffic and allows you a bit more room and time to park. Pour Pablo's a block west, though. They clearly have it marked no parking in front of their store, and I wonder if it's because of the railroad tracks or because Pablos needs the loading space. There is an alley to service the place. All in all, Old Town was really quite busy with quite a bit of pedestrian traffic, yesterday. I will be glad, however, when more housing starts to fill in above and along the existing buildings. It's the one thing missing to take the neighborhood to the next level. I agree with the housing. It's such a great neighborhood and plenty of foot traffic when I'm there (often). It's a great little restaurant district now. My wife and I agree that we'd consider moving there if the right type of development was built- something along the lines of those townhomes on Turner. I could see the whole area north of Saginaw Street be designated a historic district. Offer home and building owners help to historically remodel and upgrade their buildings. I could see brick sidewalks and sidewalk level [modern] gas lamps. The investment in the streetscape on S. Washington is paying off why not do the same in the neighborhoods of the north side? This is the only area that still has a large number of 19th and early 20th Century buildings left standing. I know many have fears about "historic districts" interfering with the homeowner's rights but it has been my experience that most people who want to live in an old home and do not mind whatever restrictions there may be. I know that a lot of lower-income people are living in those big old houses and I think we could find a plan to help landlords and homeowners to fix up their homes which would help create a more uniform neighborhood where all the houses look nice, do not wait for gentrification and allow for all incomes levels to live there. I would start with Lansing's oldest house on Center Street. tldr: Temple Club sold for 500k to a Lansing Nonprofit to be renovated into "middle-income" apartments, small retail, and a small parking structure. It's a 12k sq ft building so maybe 6 apartments alongside the retail? Cool project overall, I hope this actually comes to fruition and they save a lot of the buildings character. I've never been inside the thing but from what pictures I've seen it's pretty remarkable.